If you’ve ever met me in person and gotten to know me, you’ll realize I have anxiety. It’s not crippling or life altering, but it is there. I also worry like its my job sometimes. I know the two go hand in hand – Anxiety and Worry. There are a multitude of medications and methods to ease anxiety when it becomes a little too much to bear. Yoga, meditation, exercise, Prozac, Wellbutrin, etc. I have found exercise, yoga, and meditation to be hugely helpful. Then PMS hits and that tiny little molehill turns into Mt. Everest for a few days. The past few years, I’ve learned to recognize it, name it and work past it. While I know medication is a clinically proven means of dealing with anxiety, I am weary of side effects. In the last year or so, I have seen ads for a product called 1Hour Break all over Facebook. 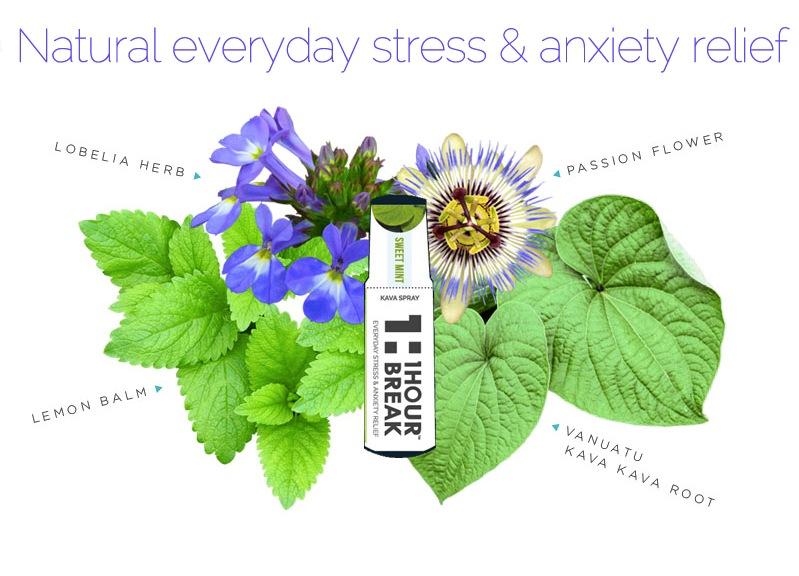 It’s an oral spray to help with anxiety made of herbs like kava kava which are widely known to help relaxation. -First all natural oral spray that relieves stress & anxiety. -Made from Kava Kava root, widely known in Hawaii for its stress-relieving properties. -Made more effective by adding three herbs that help with relaxation; Lobelia, Passion Flower, and Lemon Balm. This is run by a small family start up company. –They are launching an Indiegogo campaign to raise money for manufacturing and bottling costs without getting big investors involved. 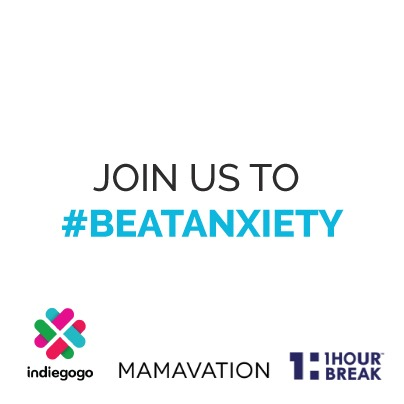 Mamavation has partnered with 1Hour Break to get the word out on their product. If you are unfamiliar with them, Mamavation is a great network of bloggers committed to sustainable living, healthier lifestyles and real food. I knew when I saw that they had partnered with 1Hour Break that it was a product worth checking into. Mamavation and 1Hour Break are having a Twitter Party on Tuesday to discuss anxiety, stress and ways to cope with stress effectively. Please join in with the hashtag #BeatAnxiety Tuesday evening for prizes, tips to de-stress and a community of peers to connect with! What are your favorite ways to relax and decompress after a stressful day or during a tense situation? **I am writing this post on behalf on 1Hour Break to help them spread the word about their Indiegogo campaign launch and open up the discussion on stress and anxiety. All opinions and experiences are my own. I have received no compensation for this post and have not yet tried 1Hour Break. 7 years ago a local mom by the name of Maria started a monthly tradition- a night out to meet other moms, build friendships and share a hot meal. We had our first evening out at La Paz, a local Mexican restaurant. And tonight, seven years later, we continued that tradition. It’s been awesome and I’ve made some real friendships over these past seven years. Having kids really made mommy friends a necessity, not a luxury. A network of other women who understand what you are going through and who can provide a perspective, a sane voice in the wilderness and often times ample laughter. It really makes you feel like you are not alone. And I know it has helped me be a better, saner mom. Thank you Maria. I did it! I actually finally started a personal blog! What will you see here? Misc posts about my life. 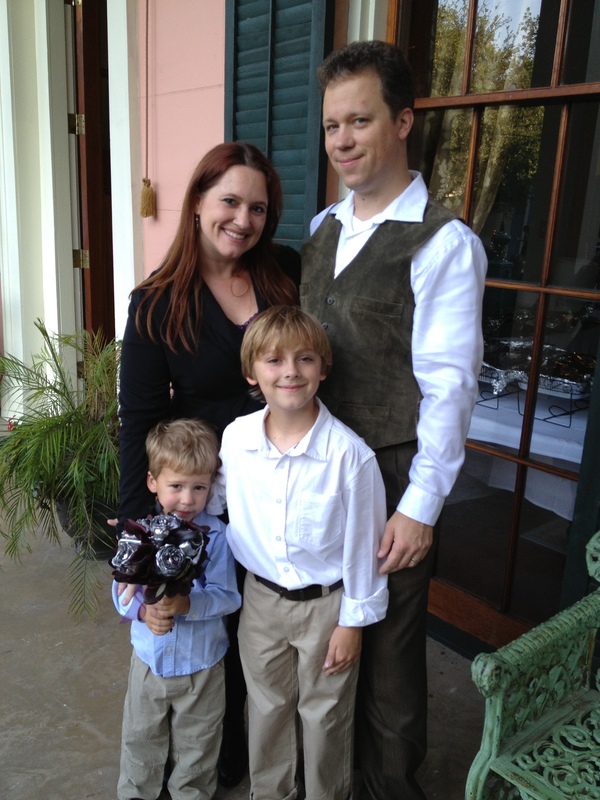 I am a wife, mother of boys, real estate appraiser, entreprenuer, jane of all trades and master of some. I live in this paradise called Destin. People pay money to visit here and I get to enjoy it year round. More soon!